So lets talk packaging. 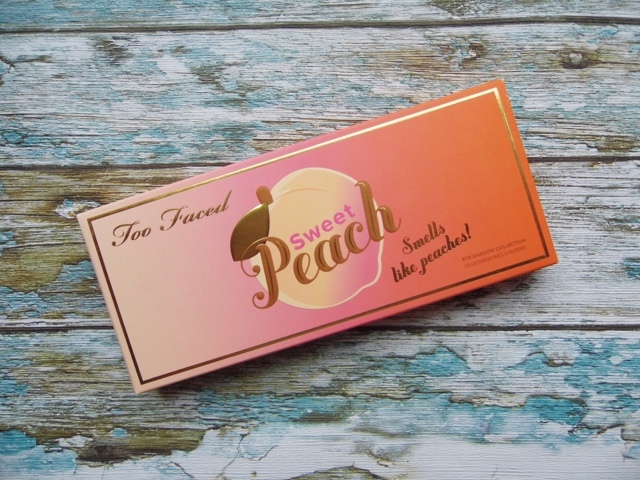 The Sweet Peach palette is packaged in the same way as the other chocolate bar palettes in this range, but the packaging itself is peachy pink with an ombre effect, how cute. The best bit about it? The Smell. Like the chocolate bar palettes this one is scented, very sweet and fruity. It really is nice to apply when you have a faint smell of something nice in the air, something most people will enjoy - but if you don't like scents, maybe one to avoid. What I would say is that the smell does not stay throughout the day, at most an hour. But really do you want to smell of a peach all day?... ok probably but still. So lets move onto the colours themselves. I know a lot of people were disappointed by the lack of peachy colours, but in all honesty would everyone love just a palette full of peach? this I fell is the perfect mix of wearable warm colours to go for a peachy eye or something more warm/neutral, very wearable and really easy to work with for any type of warm look. White Peach - A simple matte white highlight/base colour. Really creamy and a staple to the palette. Luscious - This to me is one of the stand out shades. a warm champagne yellow peach shimmer shade. They need to make this in highlighter shade. it's beautiful. 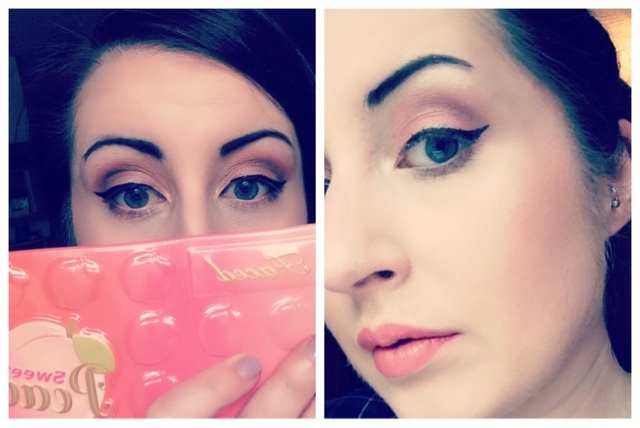 Bless her Heart - I love a green in a warm palette, its really good over your darker crease colour just to give the look a twist, I used it on the picture on the left. Tempting - This black actually contains small flecks of gold through it, its good to work with, good as a crease colour to give more depth, but not the most pigmented of shades. Charmed I'm sure - The Khaki green matte shade, I have yet to use this one, but its pigmented and smooth, will be interesting to see how I use this. Nectar - Nectar is thee most stunning yellow highlight shade. I have been using this on my inner corners. It is so smooth and buttery, cannot get enough of this one! Cobbler - Cobbler is a pinky brown shimmer, really beautiful and something a bit different. Candied Peach - Now I was really hoping that this would be a matte shade, but it does contain a golden shimmer. It isn't as smooth as a matte shade, but is really beautiful tone and is definitely the peach to the palette. Bellini - This without a doubt is the best part of this palette. I LOVE this shade. If you are looking to do a peachy eye this is your best friend. It is peachy gold shimmer, which is just perfect all over the lid. I have used this every time. Peach Pit - A very warmy red brown. Only way I seem to be able to describe this. Delectable - This is the only disappointing shade in this palette in my opinion. I know purples are hard to get right with the pigmentation, but it's just really hard to work with. I think maybe something along the same lines but thicker consistency would have been nicer. Peaches n cream - The perfect creamy base, matte pale shade, very similar to my skin, so NC15 coloured. Georgia - I love Georgia as a base too, a pale peach colour and very buttery and smooth. Caramelized - the browner shimmer of the palette, beautiful standard shimmer brown. 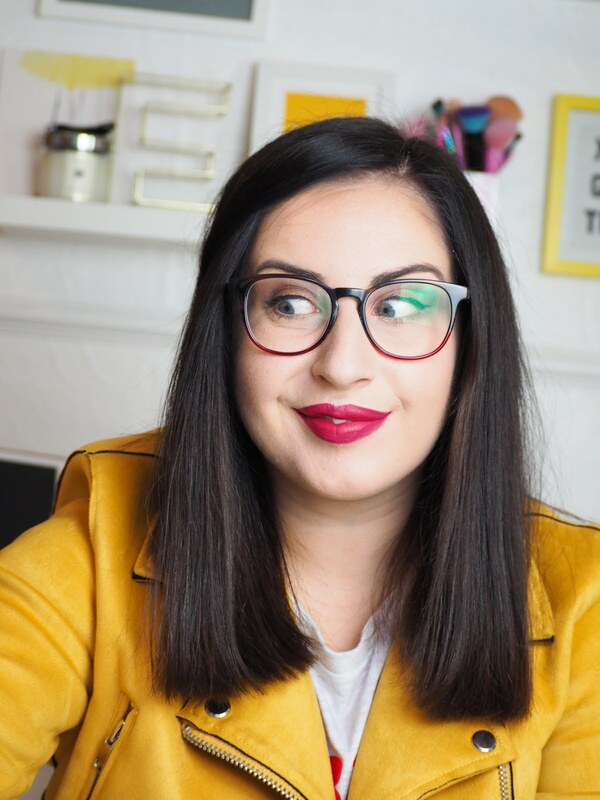 Puree - Now this is so me at the moment, I have been craving super warm orange tone matte shades (like chickadee MUG, Tempting MAC) and this is just beautiful. Smooth and creamy. Summer Yum - Same as Puree only darker and more orange/red toned. I am just so obsessed with these shades at the moment. 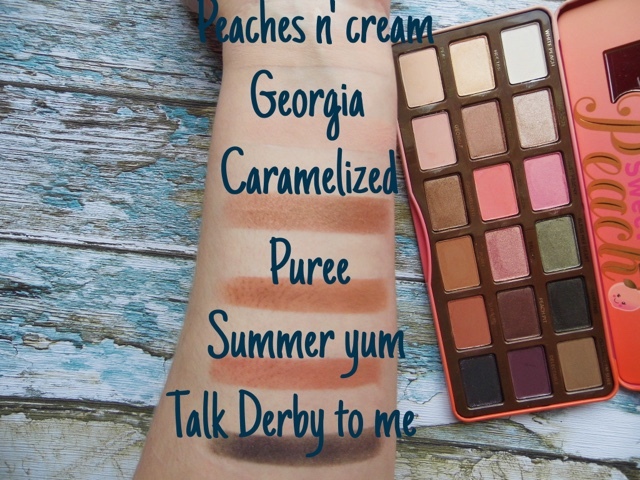 Talk Derby to Me - Now this is very similar to Tempting, but definitely more pigmented. Less warm in tone, a definite grey rather than black, and has a purple shimmer throughout. but a good little addition to an already brilliant palette. 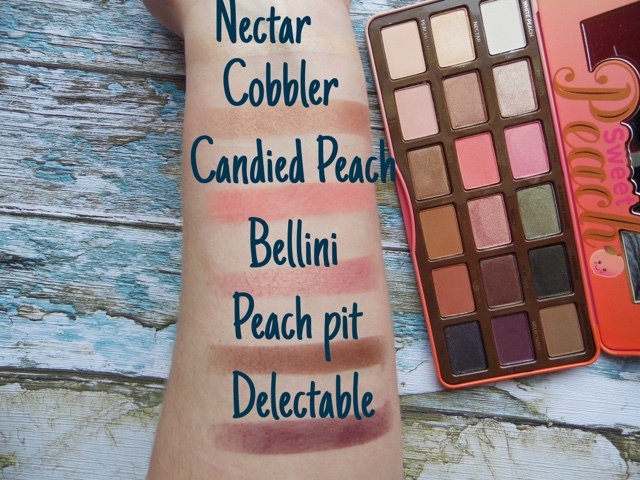 So there you go, all the shades within the peach palette, let me know which ones ones are your favourite, and if you will be buying it this month? Thoughts & opinions? Shameless selfies. Who doesn't love them haha. Seriously though I am obsessed with this palette, they hype is real and it's so worth it. The Peach palette is available IN STORE at Debenhams only (exclusive) right now, and will be available online to buy this month, so definitely worth checking a local store if you have a too faced counter, and keep an eye on their website as it will be available soon. Exactly! You have the PB & J palette though! So jealous! Ahhhh it looks so beautiful! I've never tried a Too Faced palette before, but I totally need to. Have a wonderful new week love! 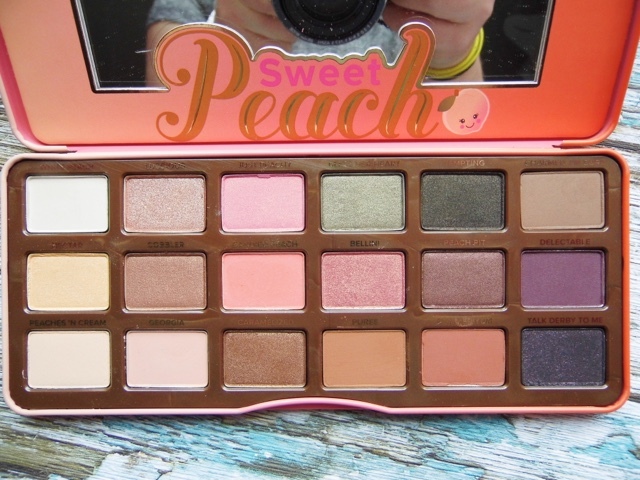 I think it's just a bit weird that they call it the "sweet peach" palette and only put in two actual peach shades. 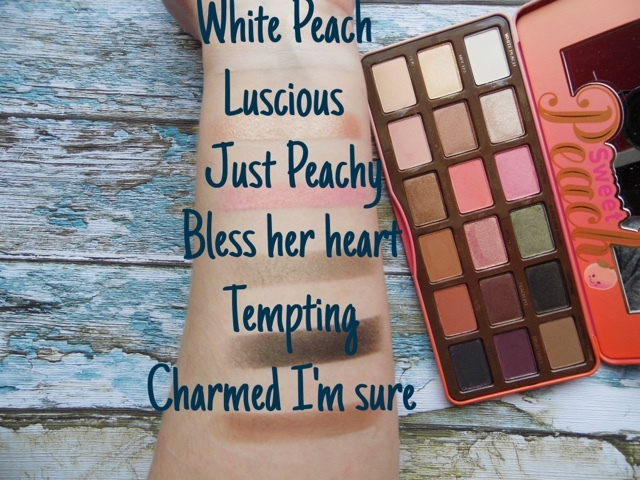 I get what you mean, but I feel like a lot of the shades aren't even inspired by nature, let alone peaches. (where did that dark purple and dark blue come from, huh?) I guess it would have been nicer if they made a complete peach one, but in the smaller size with the 9 pans, I bet everyone would have loved that a bit more. I keep seeing people doing looks with this palette and then they don't even look peachy, which is a total shame. The packaging is gorgeous though and I would love to give it a sniff! Great review nonetheless and I can see why you love it. Ohh I've not heard about this one yet. Looks like a lovely set of colours and I love the names! It's such a cute palette! I would get it but I have way too many Too Faced Palettes: Original Chocolate Bar, Semi-Sweet Chocolate Bar, Sugar Pop, Natural Matte, Chocolate Bon Bons, and PB&J. I love the shade "Delectable"! A lot of the colors are really pretty! 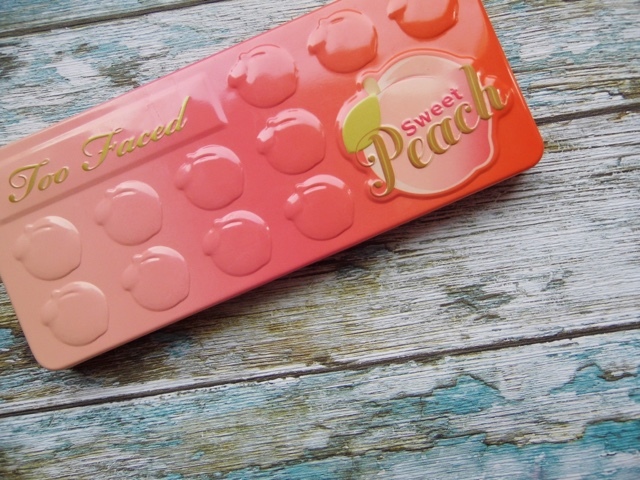 Unfortunately I really don't like peaches so I don't think I could stand the scent of this palette, but I like the idea of it. Great swatches, you can get so many cool eye looks out of a palette like this! Love the swatches! I'm not as tempted by this as the chocolate bar palettes (thank god or I will be bankrupt) but there are definitely more brown/neutral shades than I was expecting! I'm IN LOVE with this palette - I can't get enough! I've got a review on this scheduled for 2 weeks time, it's so great to be able to see what others think also. This is so pretty! Too Faced always do my favourite palettes, now I want this one haha! It looks so cute and I bet it smells amazingly! The shades seem very pigmented and versatile. Ooh, it's always a good sign when there's just one or two left! I love the idea of it having a sweet and fruity smell to it, just as the super-pretty packaging suggests :) Caramelised looks like SUCH a gorgeous shade!